Kenneth Johnson has always lived close to a center of Native American culture. Raised and educated in Oklahoma, he now lives with his family in Santa Fe, New Mexico. There he continues to create the jewelry that he has been making since 1988. Kenneth Johnson learned from a Choctaw metal smith how to engrave designs in a piece of metal. Using that apprenticeship as his foundation, Johnson then taught himself how to integrate the latest technology into his metalworking efforts. He now knows how to engrave designs using CAD and CAM technology. In order to make-use of the existing CAD and CAM technology, Kenneth Johnson has had to work with computer programmers. Their cooperative efforts have led to creation of computer programs that can guide a metal-engraving tool. Guided by the computer, that tool thus replicates the pattern of a true Native American design. 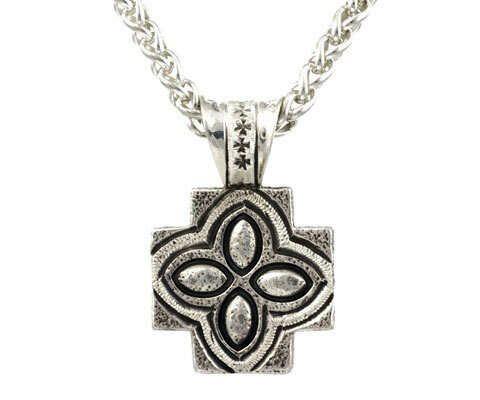 Those who have chosen to purchase a piece of Kenneth Johnson Jewelry know that they should not expect to get a piece of metal with an appliqued design. All of the Kenneth Johnson Jewelry has an engraved design. Most of those designs reflect the influence of the Native American culture. 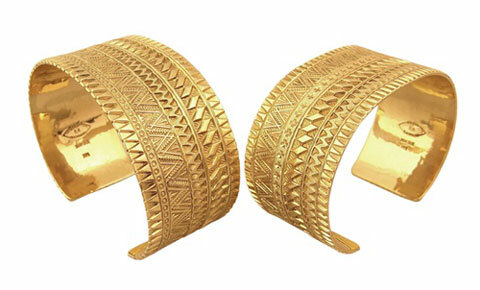 A piece of Kenneth Johnson jewelry might, for example have a design with a wave pattern. Alternatively, it might have a design with an arrow pattern, a cliff pattern or a stream pattern. Kenneth Johnson realizes that such jewelry lacks much color. Here is what he says about metal jewelry: By adding gemstones to his metal jewelry Kenneth Johnson has sought to transform his “black and white photos” into colorful “photographs.” Kenneth Johnson wants his jewelry to be both beautiful and practical. In order to enhance the beauty of his Jewelry, Kenneth Johnson carefully studies the color and texture of the metal. In order to emphasize the practical nature of his Jewelry, Kenneth Johnson measures the weight of each piece of metal that will feel the touch of his engraving tool. Finally, Johnson considers the design he wants to use. Kenneth Johnson might choose to engrave on a piece of metal a design much like the design on a totem pole. 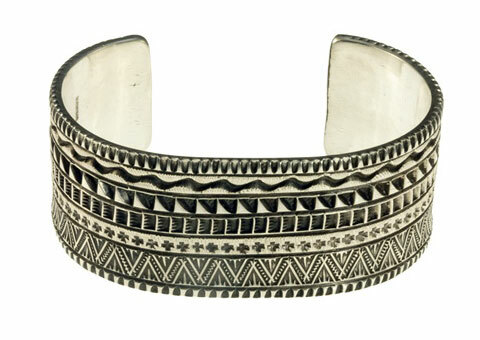 The skilled Native American would then carve into the metal a repeating black pattern. If Kenneth Johnson were working with a silver metal, then the repeating black pattern would contrast markedly with the metal’s silver color. Since Kenneth Johnson often adds gemstones to his engraved pieces of metal, the repeated black design just described might later complement some blue-green turquoise. 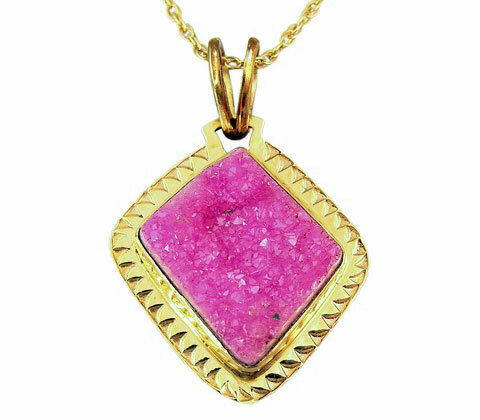 The same metal piece of jewelry might also have colorful bits of coral dotting the engraved metal surface. New Mexico is full of shops selling Native American jewelry. A customer in one of those shops should ask the person behind the counter for a chance to examine some Kenneth Johnson Jewelry. That customer would then be shown some bracelets, necklaces or earrings. If a tourist wants a Native American pin, then that tourist should take the time to visit the Grand Canyon.